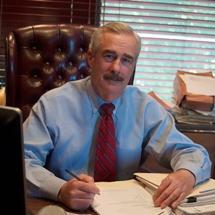 Attorney James E. Lowell has been representing Claimants and Plaintiffs in North Eastern Oklahoma for over 30 years. Mr. Lowell has represented injured workers in private practice since 1982 in the areas of Workers' Compensation, Personal Injury and Products Liability. In addition Mr. Lowell has always represented Claimants in Social Security Disability hearings, from the initial filing to hearings with Social Security Judges, to appeals at the Federal level. Mr. Lowell has been published in many Oklahoma Supreme Court and Court of Civil appeals decisions that govern the law today in Workers' Compensation. Mr. Lowell practices at his office on 71st Street in Tulsa, Oklahoma.